We manufacture Aluminium Foil Slitter Rewinder Machine can be used for Slitting thin Alluminium Foil for any microns. 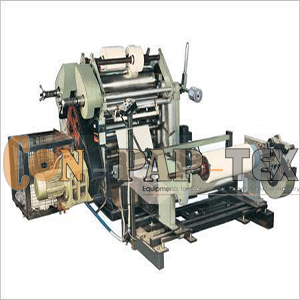 Wide Range of our Slitter Rewinder machine are used for slitting Alluminium Blister Foil. We manufacture and offer a wide range of Aluminum Foil Slitting Rewinding Machine that are precisely designed and constructed to meet the standards that effectively meet the requirements of foil cutting. We offer Aluminum Foil Slitting Machines from 9 micron to 40 microns. The machine is provided with razor cutter arrangement and can slit up to 50 mm width. Jumbo Type and High Speed Slitting Machine.